Wash amla and steam cook in pressure cooker for 1 whistle. Or you can also cook for 5 mins in microwave oven. Allow to cool and cut the amla into two halves. 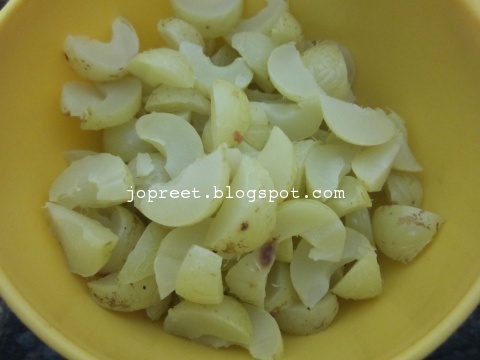 Remove the seed and cut the amla into flakes. 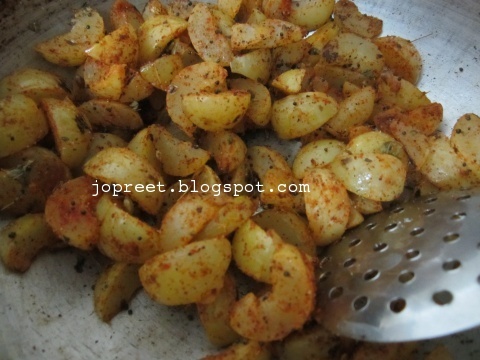 Heat 1 tsp oil in a pan or kadhai. Tamper mustard seeds and fennel seeds. Add amla flakes and saute a while. 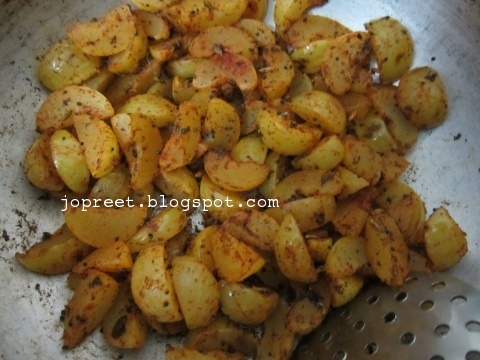 Add fenugreek powder, turmeric powder, red chili powder, cumin powder, dried fenugreek leaves and salt to taste. Cook for 2 mins and remove from the heat. Allow to cool and serve immediately. Store in an airtight container and if refrigerated, it can come for 10-12 days. A must try recipe dear. Yummilicious! I love pickles all time . Mouthwatering pickle, my mom makes the same way. Mouthwatering and Innovative. Love amla taste. Never tried my hands at pickles, this looks really good..
Tonguetickling and yummy pickle, mouthwatering here dear. My mouth is watering because of these pickles.. Nicely made, PT. Very nice pickle!! Can we prepare the same with frozen Amla as I believe we dont get fresh in chicago here!! 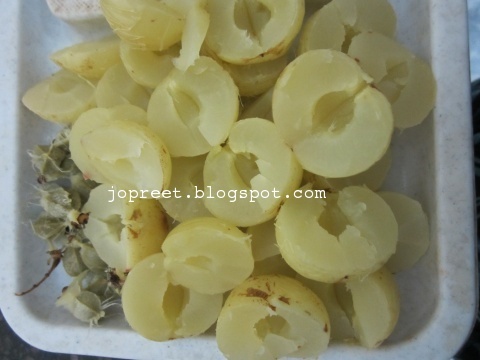 Muskaan, yes you can prepare the same with frozen Amla. 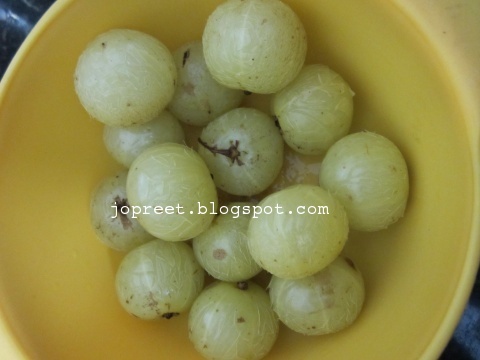 You need to defreeze amla at room temp till all those moisture dries up..